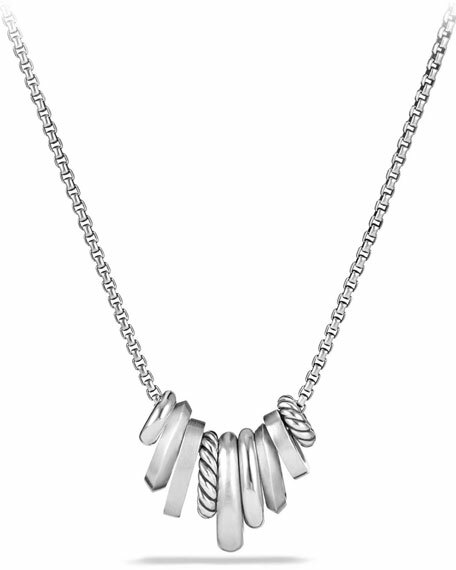 DAVID YURMAN necklace from the Stax Collection. Mixed ring pendants with pavé white diamonds. David Yurman necklace from the Ch??telaine?? Collection. Sterling silver box chain. Spiraled double-row bale. Pav?? diamond prong setting. Faceted Hampton blue topaz pendant, 11mm (0.4"). 0.05 total diamond carat weight. Approx. 17-18"L. Lobster clasp. Imported. 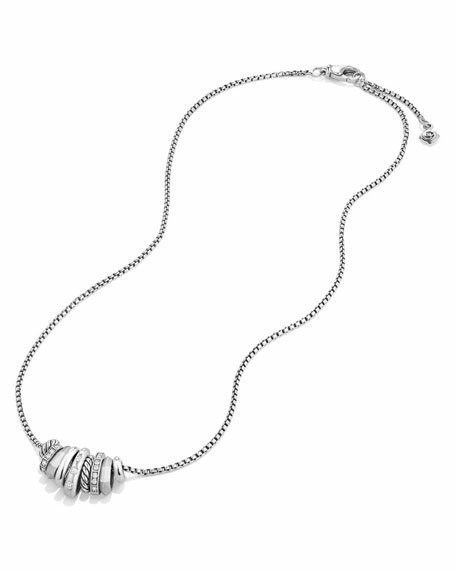 David Yurman necklace from the Ch??telaine?? Collection. Sterling silver box chain. Spiraled double-row bale. Pav?? diamond prong setting. Faceted Hampton blue topaz pendant, 14mm (0.5"). 0.08 total diamond carat weight. Approx. 17-18"L. Lobster clasp. Imported. 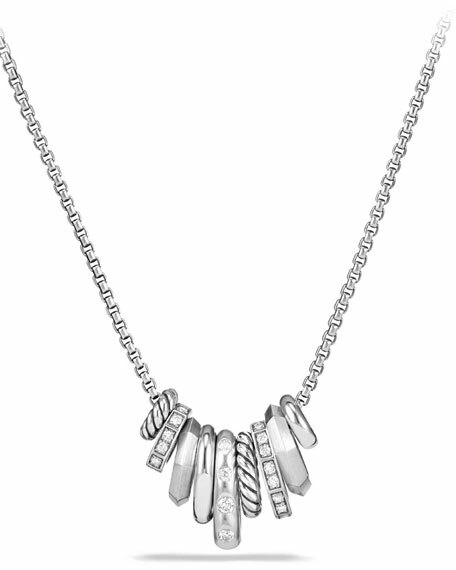 David Yurman necklace from the Crossover Collection??. Sterling silver box chain. Cross pendant with pav?? diamond wrap. 0.13 total diamond carat weight. Pendant, 1.1"L x 0.7"W (29mm x 18mm). Chain, approx. 17"L x 0.1"W. Lobster clasp. Imported.